Men love watches big and heavy. They love a watch that they can flaunt. Did you know that women like men who wear watches? They say that a watch adds character and style. We couldn’t agree more as we write about gold watches for men. Richie Mille established this prestigious luxury brand in 2001. In the design, he has considered many important aspects. A client going for a Richard Mille RM027 watch is the famous tennis player Rafael Nadal. Unlike ordinary gold watches, the technology utilized by Richard Mille is unique. 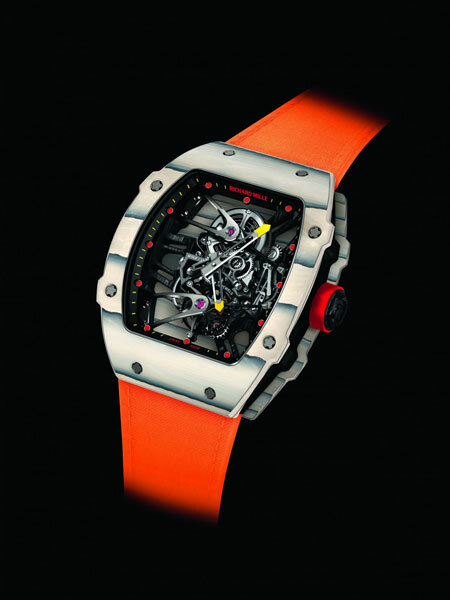 There is another model of Richard Mille – The Rafael Nadal CALIBER RM27-01. It is a limited edition, for any man who would want to have that feel of prestige around him all the time and on all occasions. It has a manual winding tourbillon that moves with hours and minutes. Calenderier Chinois watch is designed and assembled in Switzerland by Blancpain. The manufacturer has been in the market for over two centuries making of the greatest watches in the field. Being a custodian in the art of watch making, you will be surprised with their spirit of gold watches innovation. The Calenderier Chinois traditional caliber 3638 is made with an 18k gold case. Some other characteristics of this watch are the white grand feu enamel dials along with an alligator-lined alzavel strap. In addition to that it has 463 components and 39 pieces of jewel. This company was founded in 2003 in partnership with Thierry Oulevay and Christopher Claret. The company’s name is inspired by the Swiss artist named Jean Dunald who lived between 1877 and 1942. Their gold watches are therefore designed to have a fascination giving a feel of class and prestige to the man who is wearing their timepieces. One of the best products of this company is the Calibre CLA02CMP which is a one horse-tourbillon that flies after every single minute. The watch has 703 in-built moving parts as well as 53 pieces of jewel. Its case is made of titanium while its bezel is of 18 carat red or white gold. The face glass is made of a non-reflecting crystal from sapphire. Hands that are indicating time are made of 18 K gold. Formally known as Carlo Crocco in the early 1980 during its foundation, this company was set on an art and fusion basis. Hublot combined different types of materials to come up with luxurious gold watches. The company was later sold to Louis Vuitton Moet Hennessy and it is now the leading world leader in luxury products. One such product to make you a modern man with luxury is the Black Caviar watch. This watch is built with black ceramic and polished rhodium hands. It also has non-reflective sapphire crystal on the face featuring the HUBLOT logo. In addition to that the watch is self-winding. Vladamir, a product of Vencheron Constantin gold watches manufacturer is one of the most complicated and timepieces in the entire world. It has 891 components with perfectly decorated hands. It took four years to design the watch. This is really a great timepiece, real jewel. Author Bio: Drake Colson has been working with various companies selling gold watches such as Uretilalt (the Danish term is (the Danish term is guldure Uretilalt) and now he specializes in watch repairs. you with your striking personality as easily as you can if you were a “no 10”.